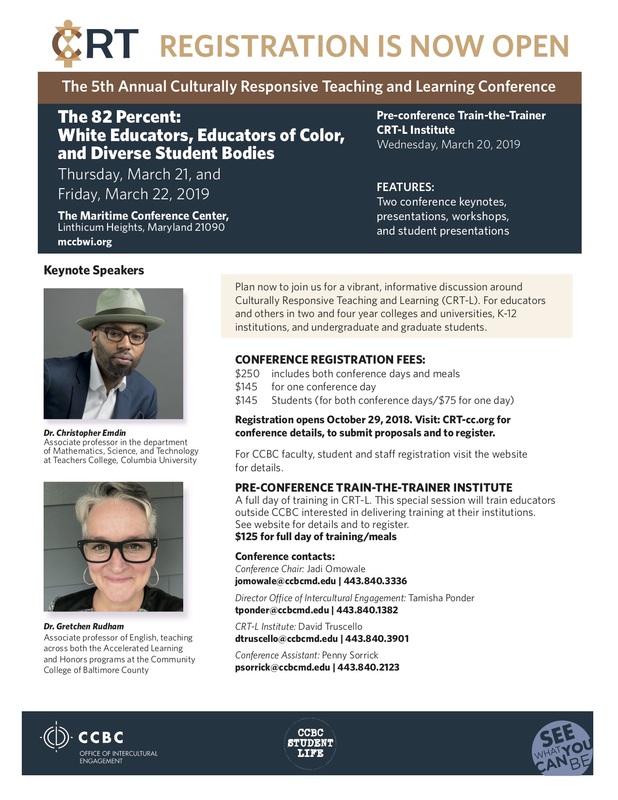 The 5th Annual Culturally Responsive Teaching and Learning Conference has extended their deadline for proposals to January 31, 2019. This is an excellent conference and an excellent opportunity, so please do consider getting involved! The conference will be held in Linthicum Heights (just outside of Baltimore, MD) this year on March 21st and 22nd. Further information can also be found at www.CRT-CC.org. 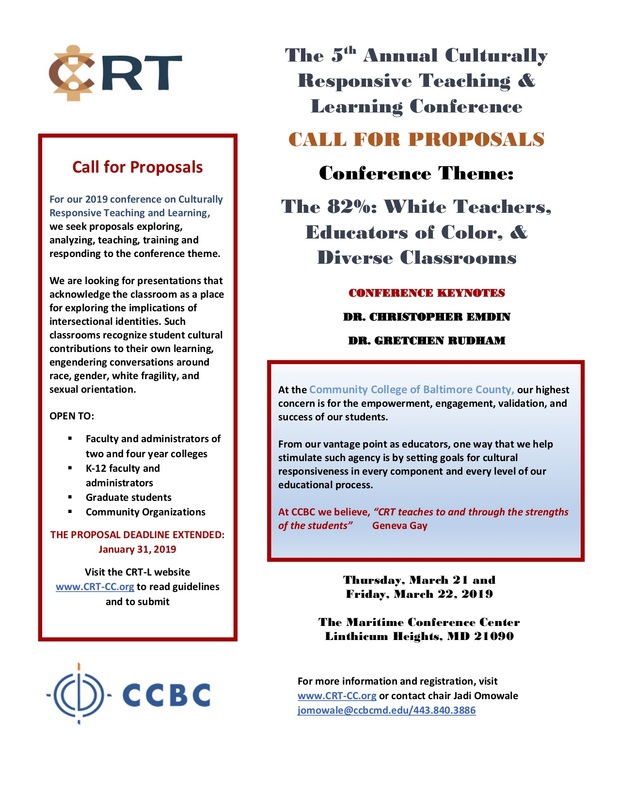 Please also see the CFP flier in addition to the conference flier below.